Yesterday I went to The Late Show with Stephen Colbert and it was every bit as awesome as I hoped. As if blessed by the comedy gods I ended up lining up in an aisle seat (about a 1 in 20 chance) so I could stretch my Wounded Knees (my Native American name and condition) and had a great time. The band was great (though seeing the tambourine player break his tambourine because he was “feeling the pretentious musical spirit” too much was pretty fun and Colbert was tremendous. Missed Bryan Cranston as guest by a day, but Daniel Craig the week of a new James Bond film is not too shabby. So, while I wish I could provide more details and emotions about the big day something much more pressing emerged in my life that I need to talk about. Much like the earthquake that sounded when Jesus Christ took his last breath, all sound stopped when I heard this question. 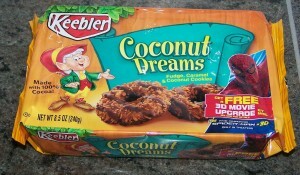 As you can see from the picture on the package, they are awfully similar to Samoas, so coupled with the discount being offered I bought a package of them. 25 minutes later the package of Samoas masquerading as Coconut Dreams was gone, vanquished to my belly, the same way the Girl Scouts’ monopoly was vanquished. 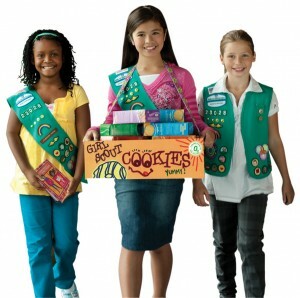 To quote Maximus from Gladiator, "The time for honoring yourselves will soon be at an end"
The Girls Scouts are not old black men. Yes, you read that correctly. In our culture black people are stolen from constantly, from their bodies to their physical attributes to their artistic contributions. But stealing the inventions of black people, men especially, is part of American tradition. But stealing from little girls, especially white girls, is pretty much the exact opposite – it is never done and almost certainly Keebler would be treated like Elvish Hitler if these cookies become more widely known. 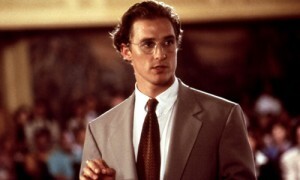 That is why, in a Matthew McConnaughey-esque, A Time to Kill moment, we must imagine that the Girl Scouts are old black musicians. Now, instead of thinking of the Girl Scouts as chaste angels worth our protection, think of them as old black blues singers that are road bumps on the way to our favorite white musical heroes! No one wants to buy cookies from Muddy Waters, especially when the white Keebler Led Zeppelins rock so much better! "Now imagine the Keebler elves were white girls. And the girl scouts were old black men"
So go to a supermarket and buy yourself some Samoas – I mean some Coconut Dreams – the tasty white shreds from the old brown casing – HOW SYMBOLIC! They are delicious. And someone informed me on Facebook that I was years behind in this discovery, but sometimes it takes a blogger/comedian of huge relevance to make it known to the wider public. You are welcome world.